In this book, France's leading medical anthropologist takes on one of the most tragic stories of the global AIDS crisis—the failure of the ANC government to stem the tide of the AIDS epidemic in South Africa. 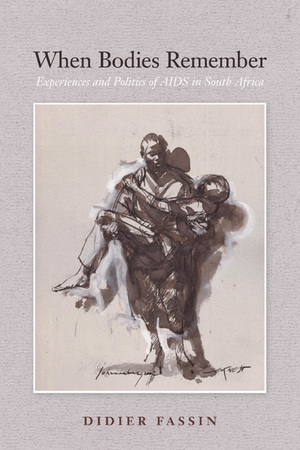 Didier Fassin traces the deep roots of the AIDS crisis to apartheid and, before that, to the colonial period. One person in ten is infected with HIV in South Africa, and President Thabo Mbeki has initiated a global controversy by funding questionable medical research, casting doubt on the benefits of preventing mother-to-child transmission, and embracing dissidents who challenge the viral theory of AIDS. Fassin contextualizes Mbeki's position by sensitively exploring issues of race and genocide that surround this controversy. Basing his discussion on vivid ethnographical data collected in the townships of Johannesburg, he passionately demonstrates that the unprecedented epidemiological crisis in South Africa is a demographic catastrophe as well as a human tragedy, one that cannot be understood without reference to the social history of the country, in particular to institutionalized racial inequality as the fundamental principle of government during the past century. Didier Fassin is Professor of Sociology at the University of Paris North and Director of Studies in Anthropology at the École des hautes études en sciences sociales in Paris. He is the Director of CRESP (Centre de recherche sur les enjeux contemporains en santé publique) and, until 2003, was vice president of Doctors without Borders. Among his books are Pouvoir et maladie en Afrique, L'espace politique de la santé, Les enjeux politiques de la santé, Des maux indicibles and Faire de la santé publique.